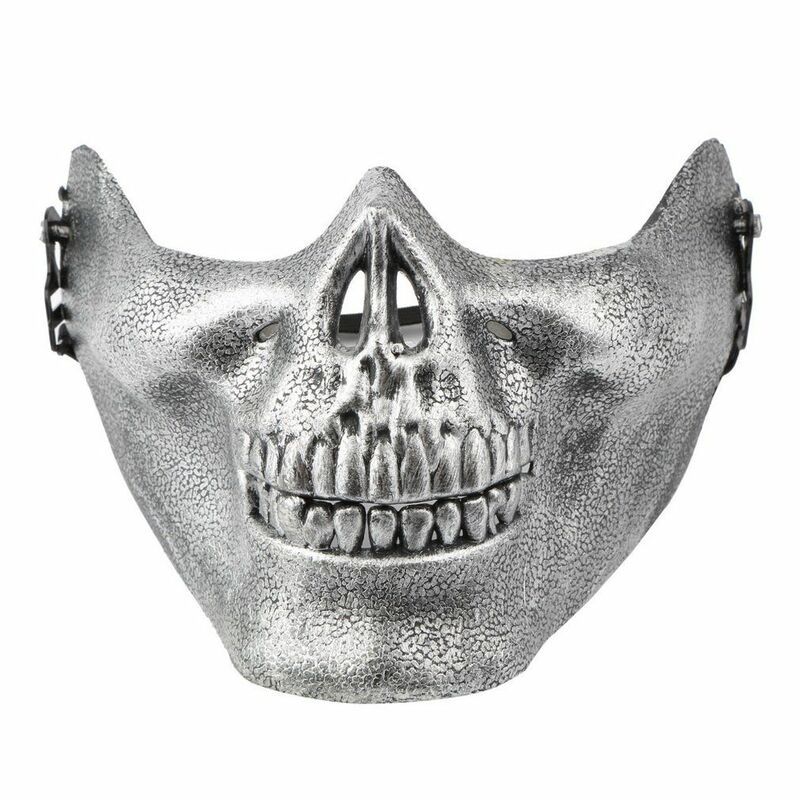 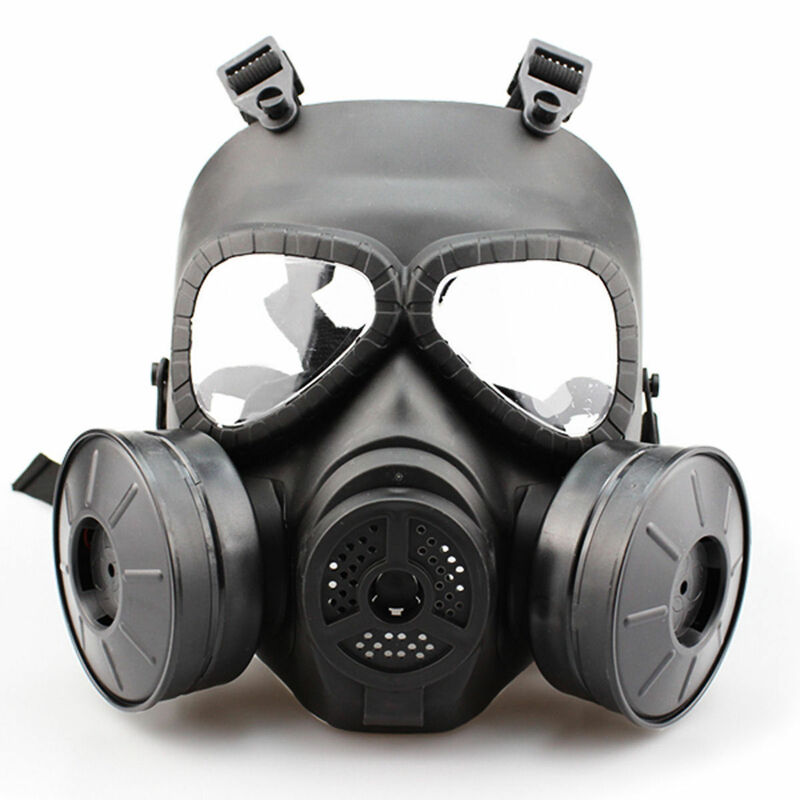 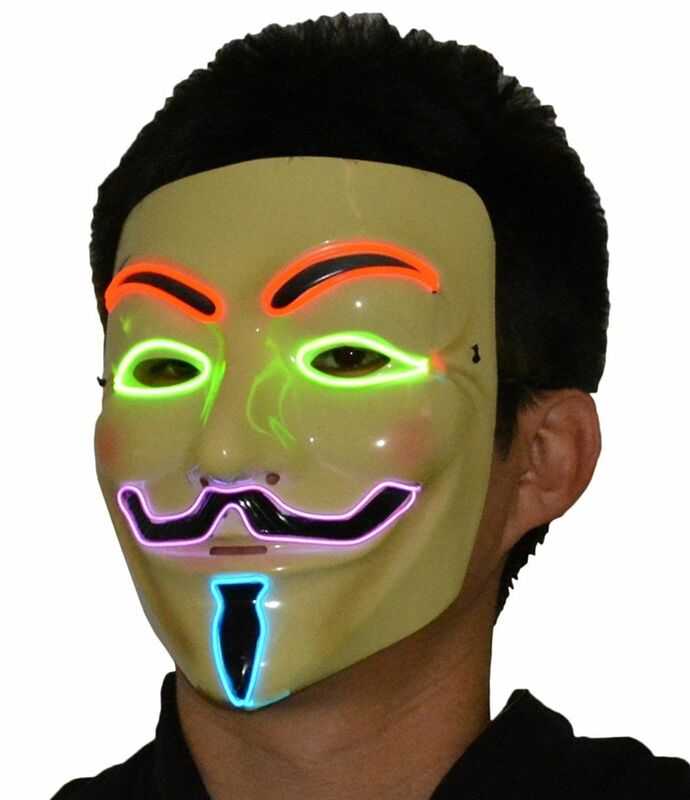 Light up your V for Vendetta mask and stand out in a crowd at a Halloween, masquerade, club, bar, party, concert, rave, Mardi Gras, festivals and events. 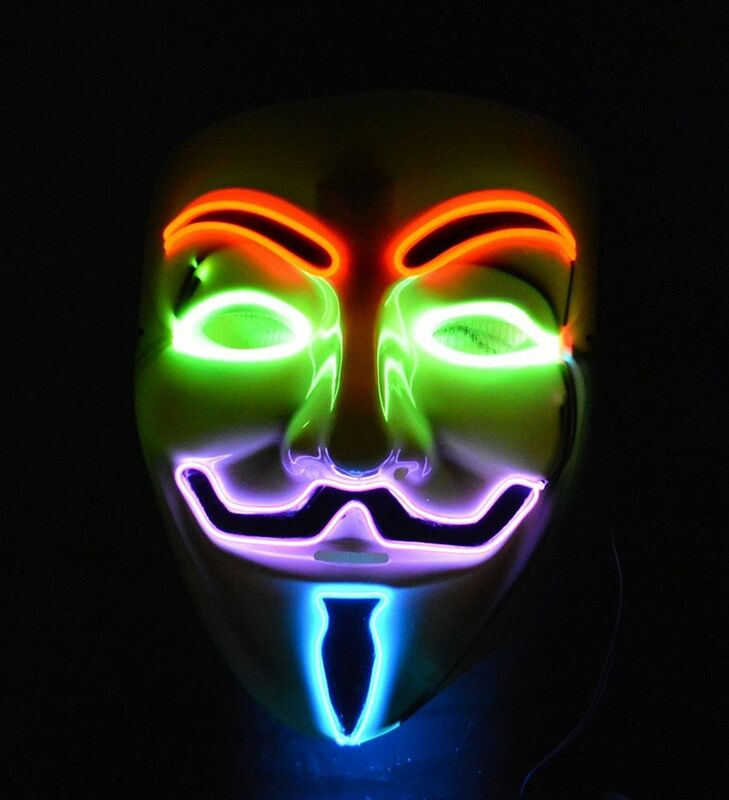 Shine more than the others around at the clubs! 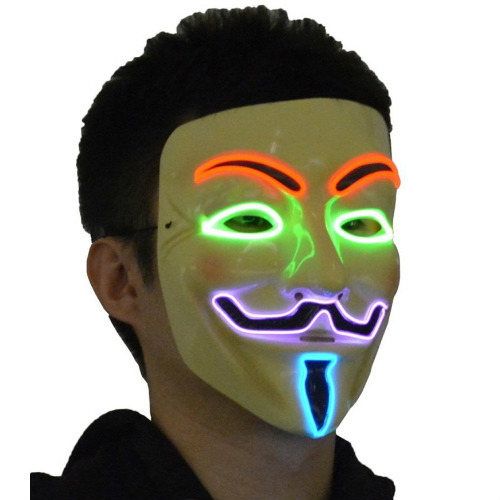 Wear your LED mask are a fun and colorful addition to any neon glow party or event. 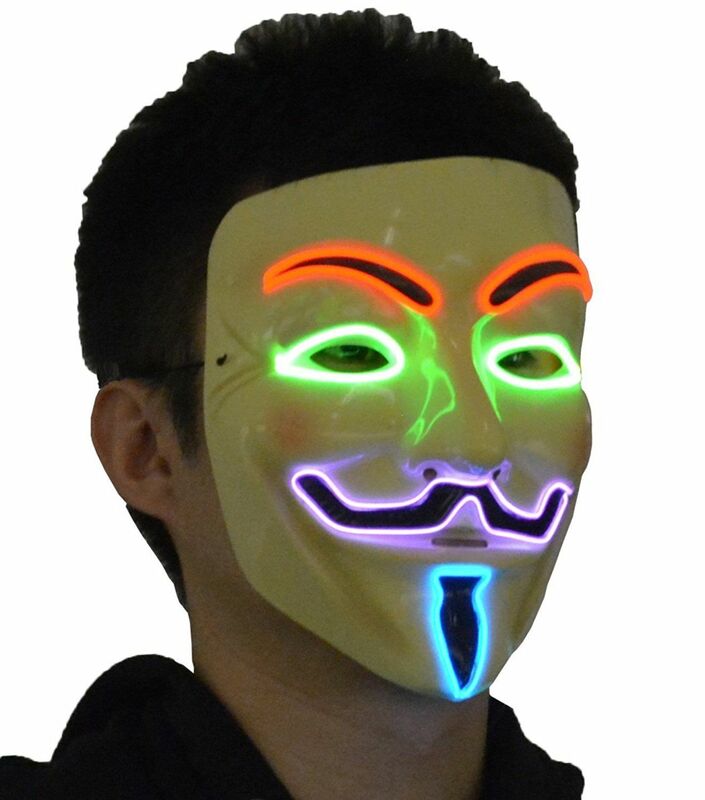 Be the first to review “Vendetta LED Guys Rave Mask Party Light Up Costume Multicolor” Click here to cancel reply.